Courtesy photoJamie Bernstein, daughter of Leonard Bernstein, will discuss her memoir at Temple Emanu-El in Marblehead this Sunday. Courtesy photoLeonard Bernstein's centennial in 2018 was celebrated by more than 5,000 events worldwide, as well as by his daughter's memoir. One hundred and one years after Leonard Bernstein was born in Lawrence and 28 years after he died, the conductor and composer can still command an audience. 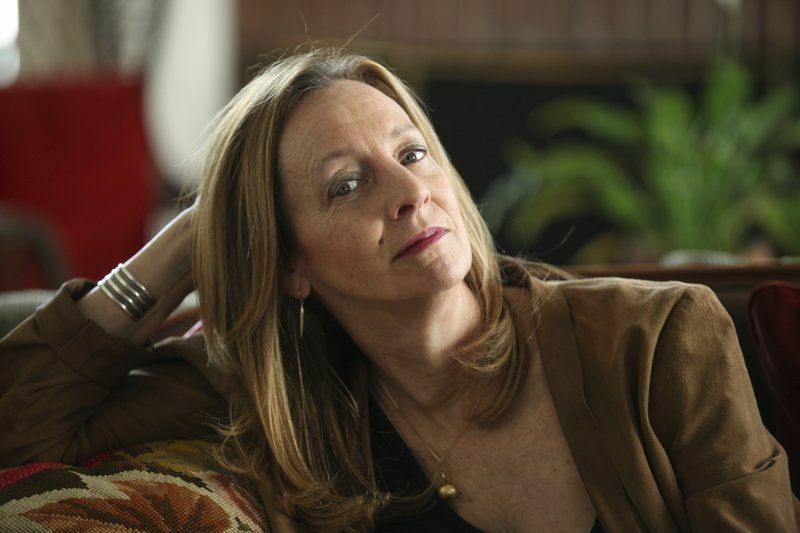 His daughter, Jamie Bernstein, has discovered that fact while discussing her new memoir with audiences, as she will do this Sunday at Temple Emanu-El in Marblehead. Her book is called “Famous Father Girl,” which is the name that Jamie’s classmates gave her in grade school, and many of her readings have drawn overflow crowds. 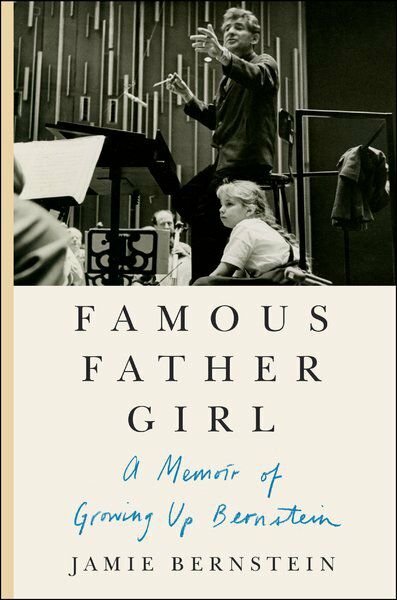 She thinks their intense connection to her father’s memory has several sources, but is ultimately due to the way he wrote and conducted music. “It’s really moving that they all have so much emotion, because my father himself had this emotional connection he made with people, not only one-on-one, but through his music, and all the emotion he put into the world is coming back at me,” Jamie said. Leonard Bernstein took the world of music by storm in 1943, when he first conducted the New York Philharmonic on a night when regular conductor Bruno Walter had fallen ill. In the decades that followed, Bernstein interpreted the canon of classical music with the leading orchestras of the world. He also triumphed in popular music, especially with his score for the musical “West Side Story” from 1957. These performances earned Bernstein plenty of accolades during his lifetime, including a parade that was held in Lawrence on Aug. 25, 1983, in honor of his 65th birthday. “Famous Father Girl” captures Jamie’s delight in her father’s dynamic, unconventional character, especially when he made impulsive purchases of puppies and gadgets for the children. His friends were some of the leading entertainers of the day, such as Mike Nichols, Stephen Sondheim and Lauren Bacall, who would put on sketches and sing songs at the Bernsteins’ home. Jamie also records her sense of privilege at being born into the company of so much breathtaking music. But Jamie doesn’t hesitate to share the many ways that Leonard Bernstein could be erratic and exhausting to live with, and her memoir is a frank portrait that only a family member could provide. His wife, Felicia Montealegre, and her children learned from Bernstein’s own brother and sister that the best way to deal with the maestro’s ego was to tease him, which became another part of their life’s work. “We understood that it was okay to make fun of our father: that it was even for a good cause,” Jamie writes. But his towering gifts overshadowed Jamie’s own interest in music, which first found an outlet in songs that she composed for family occasions. After picking up a guitar in high school, she also started writing material that reflected a number of contemporary influences. She performed some of her material in public settings and signed a record deal in her 20s, but none of these plans came to fruition, in spite of her father’s help and encouragement. Perhaps the closest that Jamie came to being a professional musician was singing a song that she wrote in her father’s honor at a Kennedy Center Honors concert in 1980. Right before that, she also played a musician in the film “Endless Love,” in which she was cast as the girlfriend of actor James Spader, who grew up at Brooks School in North Andover. “Jimmy Spader and I took a shine to each other, and we would ‘rehearse’ our making-out scene every chance we got. (There was no making-out scene),” she wrote. But where Jamie was originally supposed to sing one of her own songs in “Endless Love,” she ended up lip-syncing another performer’s rendition of the title song. “Five seconds of my face from that insert is what ended up in the ‘party scene’ of the movie,” she wrote. But Jamie’s interest in music has survived in programs she has developed, to provide narration at performances of his father’s music, along with works by other composers. But along with music, Jamie has always been interested in writing, which she studied in a graduate program at Columbia University. She also learned about language from her father, who was an instinctive and almost compulsive teacher. Jamie first spoke with a literary agent about writing her memoir three years before her father’s centennial began, and he encouraged her to finish it in time for that occasion. She said she actually enjoyed writing “Famous Father Girl,” so much so that she plans to write another book, although she feels it’s too “embryonic” at this point to discuss its topic. “It reminds me a lot of being pregnant — a giant project hanging over my head,” Jamie said. Sunday’s event is an “Extra Chapter” of the Jewish Book Month Speaker Series hosted by the Jewish Community Center of the North Shore. How much: $25 for dessert reception, author talk and Q&A, and film; $50 to include meet-and-greet and wine reception with author from 6 to 7 p.m.